1GN, quite possibly one of the most promising rising all-girl CCM groups we’ve heard since ZOEgirl and BarlowGirl; shockingly decided to part ways late 2016/early 2017, and it was cemented in stone with the release in January 2017 of Carmen Justice’s new solo song ‘Flaming Arrows’. The band 1GN was no more, sad to say, because I reckon their debut album 1 Girl Nation and their sophomore album UNITE are some of my favourite albums I’ve heard in 2013 and 2016 respectively. Nevertheless, with the death of one thing comes the birth of something else- namely, the solo career of Carmen Justice. Nothing like anything Carmen has released with 1GN, Carmen’s first single ‘Flaming Arrows’ showcased much more of her rock/EDM side as opposed to the pop sound that 1GN brought to the table. Something unique and different, ‘Flaming Arrows’ showed us a side of Carmen we as Christian music fans probably haven’t seen much of before, as the song was an anthem for many, directed to our insecurities and fears, as Carmen made the message clear that fear won’t win because of Jesus on our side. ‘Red & Yellow, Black & White’ followed, a song that showed us the need for love to come and unite us in a seemingly divided world. Carmen then continued with releasing music, unveiling an EP comprising of 7 songs that released in October 2017, inclusive of ‘Red and Yellow, Black and White’ and ‘Flaming Arrows’ as well as 5 more, each presenting a different musical style that Carmen has undertaken (which is very different from the 1GN music style previously). Let’s just say that 2017 was a busy year for this up-and-coming solo artist. 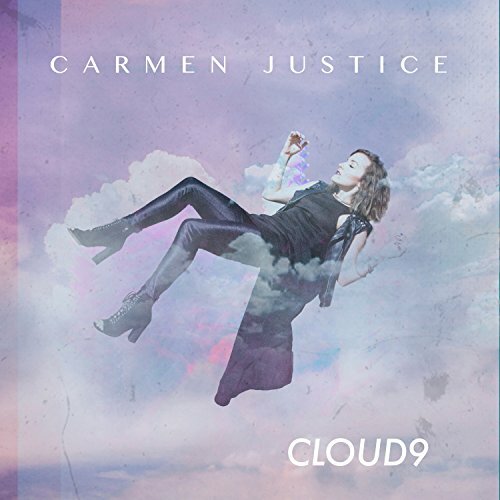 Now we settle into 2018, and we witness Carmen again release new material- this time 2 originally written songs in ‘Cloud 9’ and ‘Poco A Poco’. Maybe that is a sign that she’s releasing another EP in the near future? Who knows, but if this new project, whenever that may be, is anything like these two new songs of hers, then her future and her musical styles that she has undertaken, is sure to make us all sit up and take notice in the upcoming months ahead. A certain listen and purchase if you have been a fan of similar female pop artists, like 1GN, BarlowGirl, ZoeGirl or even current all-girl sister group Cimorelli; Carmen and her music is certain to make waves in the upcoming months ahead, as we witness arguably one of the most underrated styles of music I’ve heard thus far in the 2017/18 period. Released toward the end of May 2018, ‘Cloud 9’ employs a music backdrop of EDM, a musical genre that I myself have been taking more time than I’m used to, to enjoy and appreciate. Nevertheless, while musically this song may not necessarily be my first choice of music, the musical arrangement and how it was choreographed can’t be denied, that the production of the track is top notch. Produced by Swedish-American producer and DJ David Thulin (brother of Jonathan Thulin, who has changed his name and is now operating as a mainstream pop artist under the name Andreas Moss); ‘Cloud 9’ tells of a persona who is going to rise to the top with their talents, knowing full well that they’ll be obstacles along the way and that they are a fighter, pushing through the negativity and reminding themselves that they are warriors and victorious, because of what has been done in our place to make us that. While the song itself isn’t necessarily very ‘Christian’ in nature, ‘Cloud 9’ does ask the questions, as we wonder whether we ourselves are trying to ‘get to the top’ and at what expense- be it at the expense of our family, job, career, relationships…you name it. Whatever the case, Carmen has ventured into a new realm of music, even different than much of her EP that released last year. Regardless of this new direction, Carmen’s heart I’m sure is still the same, as songs like this, that don’t get much, if at all, airplay on radio stations like Air 1; are sure to impact and influence, with God using them to change whoever hears music like this. 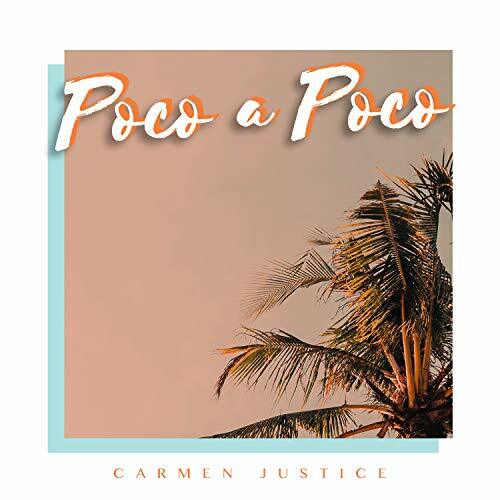 ‘Poco A Poco’, also collaborated with, by David Thulin, is another song by Carmen that released not too long ago (August 31st) (is this a sign that Carmen is recording new music, maybe an EP, for the future?). As said by Carmen herself, in a blog post sent via email to fans whom have subscribed (like me, of course! ), ‘…“Poco a Poco” in English means “little by little”, a phrase I learned when I was in Honduras this summer. I met a couple when I was down there who were missionaries and they told me many stories about their time in Tegucigalpa the capital — the beautiful parts and the not so beautiful parts. The wife was saying how there are days when she felt like she doubted if she was really making a difference, and they both mentioned how they felt like some days were really tough even though they both knew they were doing the work that God wanted them to do. They told me the phrase “poco a poco” was a phrase that they would pray over their life and was something they would say to each other as they felt the weight of life on their shoulders. I don’t know about you, but I REALLY resonated with that and it has become a phrase that I have had to tell myself when I feel like the world around me is LOCO! …’ With that quote, and the story behind the song, I can appreciate the melody, even if the arrangement isn’t my first choice of music (Caribbean music I think, unless I’m wrong!). Still, both ‘Poco A Poco’ and ‘Cloud 9’ are unique and different releases from Carmen, and certain for everyone to sit up and take notice, waiting and anticipating for maybe, just maybe, another EP before the year is over…here’s hoping! Carmen has come a long way from her 1GN days. While it is saddening to see the band no more, we are told that they split amicably, and that they are still best of friends. Nevertheless, here’s hoping that all these members have successful careers in the future. As for Carmen, with the release of both these two new songs, we’ve been given these melodies that are full of passion and poignancy, EDM, pop and moments of anthems as Carmen presents one of this year’s most unique ‘single’ releases of 2018 thus far. And as Carmen herself announced before that she’s on the road these new few months with BONRAY and Sidewalk Prophets, here’s praying that these two new tracks are just a precursor to something bigger and more as the months continue to roll around. Kudos to Carmen for stylistically shifting out of the box on these two tracks, can’t wait for more uniquely crafted material in months to come! Previous PostBen & Noelle Kilgore – Grace Grace (Single)Next PostFLASHBACK FRIDAYS: WEEK 24 (What If We Were Real by Mandisa)- How would the world look like if we were more real, honest and vulnerable with each other?